Thanks to everyone who visited Kilkenny in 2009 and helped us to celebrate our 400th year of civic history. We had a great time and we hope you did too… the 400 celebrations are now over but the party hasn’t stopped in Kilkenny, the festival capital of Ireland. 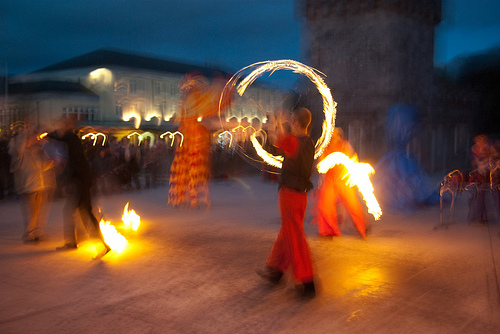 Check out all of the latest news on upcoming festivals and events on the Kilkenny Tourism Website. There are no plans to continue to update the Kilkenny 400 site at the moment, however it will remain online as a memento of our year of celebration. Click here to view a short video looking back over the 400th year. Don’t be a stranger to Kilkenny in 2010, come help us celebrate our 401st …. The Kilkenny 400 September - December What’s on Guide has just been Published. You can download it from here or pick it up at most venues in Kilkenny City. Conference "Kilkenny at the Time of the Charter"